Due to health hazards associated with asbestos exposure, non-asbestos gasket materials are widely used today. ATC Industry Solutions have access to known branded materials such as Klinger, Novus and Gylon amongst others. We can also supply a range of unbranded gasket materials as an alternative to commonly recognised brands. 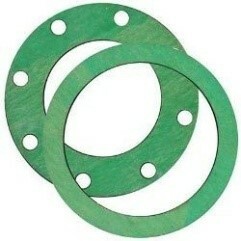 Contact us today for your gasket needs. We offer gaskets made from a wide range of other materials or tailor-made gaskets for particular client needs. To discuss your gasket requirement contact us today so that we can offer the best solution to your industrial application.